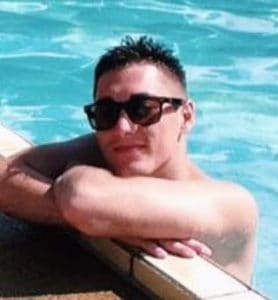 I’ve always been a bit of a pool fanatic, so pulling the trigger on own swimming pool was something I never hesitated to do when the timing was right. And while we’d all love to have a huge inground pool built into our homes, not everyone can afford to cough up thousands of dollars for the privilege – not to mention the extra space they take up. If you’re reading this, you already know that above ground pools are a very viable alternative. They’re significantly cheaper, easier to maintain and, unlike any in ground pool, they’re portable. Today, I’ll cover everything you need to consider when looking to buy an above pool, as well as my own review and comparison of the best above ground pools on the market. 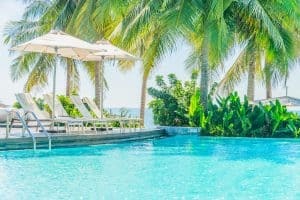 The following above ground swimming pools have been chosen for comparison since they’re regarded as the most popular options among pool owners today. Why You Should Buy An Above Ground Pool? There are a number of reasons to get yourself an above ground pool, and if you’re reading this buyer’s guide, you’re no doubt aware of at least some them. Affordable: Inground pools, on average, can cost anywhere in the region of $20,000 to $80,000, whereas above ground pools can be had at a tiny fraction of the cost, priced anywhere from $100 to $1,000+. Easy to maintain: Above ground pools are not dependent on external plumbing, which removes certain maintenance procedures that accompany inground pools. Also, winterizing is typically much quicker and easier. Portable: Not only can you move and place an above ground pool anywhere you like around your backyard, but you can dismantle and move it somewhere else entirely if needed. Space-saving: Above ground pools are typically a lot smaller than inground pools, making them more viable for use in areas with limited space. Also, the benefit of being able to dismantle and pack away is huge. Safer: The majority of pool drownings (often involving small children) happen in inground pools, largely because it’s easy to fall in. The nature of above ground pools makes them a lot safer in that respect. Why You Shouldn’t Buy An Above Ground Pool? Not every purchase makes sense for every person in every situation, which is why I’m also going to list off reasons why you might decide AGAINST getting yourself an AG (that’s cool speak for above-ground) swimming pool. Appearance: Above ground pools aren’t known for being the most aesthetically pleasing, so unless you’re willing to go all on decking your pool it could be a deal-breaker for you. Shape: Inground pools can come in varying shapes, including bespoke designs for the right price. Above ground pools are limited to round, oval and rectangular structures. Size: The majority of above ground pools are under 25 feet in length and while it is possible to find larger models, the ceiling is much lower in terms of size – especially in comparison to inground pools. What Types Of Above Ground Pools Can You Buy? When looking at the different types of above ground swimming pools available, it can sometime be hard to know exactly what to go for. 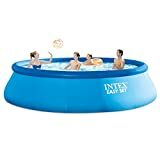 Traditional inflatable pools tend to be exclusive to smaller, and sometimes even kids-sized pools due to their inherent issues on a larger scale. 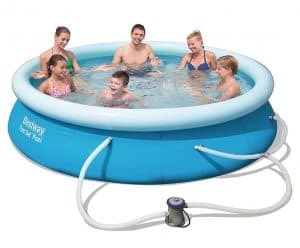 For one, they require a LOT more air than the inflatable top-ring pools (explained in a moment), though that can help provide extra stability. The biggest issue with these pools, however, is that there is they’re wayyyy more prone to puncture, and also more difficult to repair. Generally, I wouldn’t recommend going for this type. Inflatable top-ring pools are pretty self-explanatory. Unlike traditional inflatable pools, this approach relies on only the top ring being inflated to keep the general shape in tact, and the PVC pool walls expanding as the water fills. If you’re going for an inflatable pool, this is the type to go for. Metal frame pools are typically larger in size, and are inherently much sturdier than inflatable and inflatable top-ring pools. While sturdier is always a good thing, metal frame pools do come at a higher cost both financially and from a setup/portability aspect — since it takes considerably longer to get up and running compared to inflatable pools. I’d say these are probably the most reliable pools to go for if you’re happy to spend a little more, providing you don’t plan on moving it around too often. Note — You can also find some very durable above ground pools with metal walls (made of steel or aluminum) but these forego many of the portability benefits of traditional above ground pools and, as a result, are much less popular. If you really wanna drill down your options, you have the look at the factors behind what makes a great AG pool, well… great. For most situations, choosing an above ground pool is a fairly straightforward process. With inground pools, piecing together the right equipment can be a technical nightmare for some (as illustrated in my other buying guides), but above ground pools are a much simpler beast to tackle. You don’t need to worry about plumbing requirements or expensive additions to make it work properly; as long as you have a pair of hands and hose, you can have it up and running in a matter of hours. The technical stuff aside, there are still decisions that need to be made, and these can often be whittled down to three main factors. Size: The size of your swimming pool is probably the first and most important consideration for most people, and this will usually depend on how many people you expect it to fit. Setup: Nobody likes dealing with flat pack purchases, and most above ground pools will certainly take some elbow grease and a dash patience to assemble if you’ve never set one up before. This will vary considerably depending on the type of pool you choose. Durability: Any decent swimming pool should have some level of resistance against the elements as well as general wear and tear. This will, of course, be heavily dependent on the overall build quality. Size — How Big Does It Need To Be? The first thing to consider is your pool’s size. As I mentioned earlier, above ground pools are typically smaller in size, with the average being somewhere around 10 feet in diameter — though it is possible to find pools 3x this size. Of course, it’s not about getting the largest pool you can find, it’s about getting a pool that is adequately sized for it’s use. That means thinking about how many people are likely to use it at any given time. If you’re buying a pool for your two children, your size requirements will be very different from someone buying a pool for the whole family, or someone who wants it to be a centerpiece of a party. Just be sure to look at the image comparisons above to get a general idea of what the best size for your particular use case will be. Setup — Can I Get It Up And Running Quickly? The second thing to consider the setup procedure. Unfortunately, there will always be some involvement in setting up a new above ground pool, and that could take anywhere from an hour to several hours, depending on type you buy. 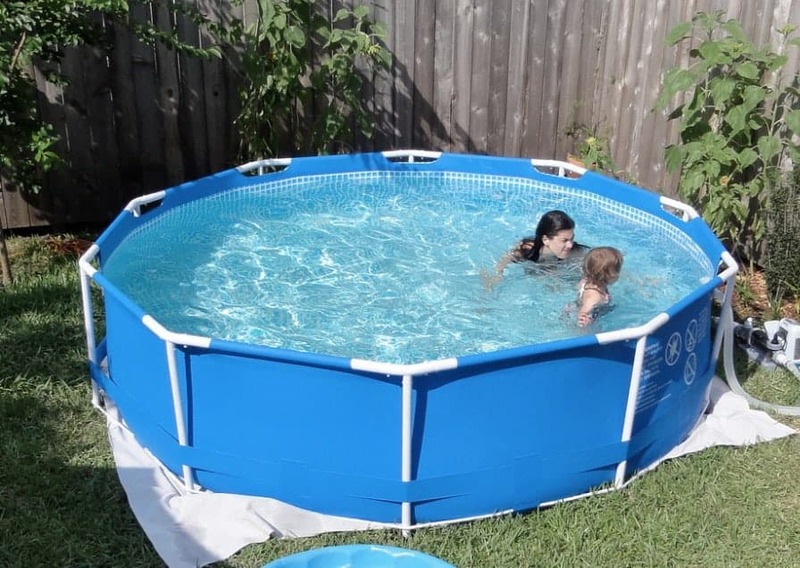 The two most common types available are inflatable ring and metal frame pools, and though many prefer the durability of metal frame, inflatable ring pools are undoubtedly much easier to setup. Of course, another factor that’s easy to overlook is the setup instructions (or manual), and how clearly the steps are laid out. As you probably know, ambiguous instructions can often double or triple the time required. This is something that will be heavily considered and weighed up in the review section of this article. The third and final thing to consider is durability. Perhaps the easiest way to avoid buying a low-quality pool is to go with a trusted brand. 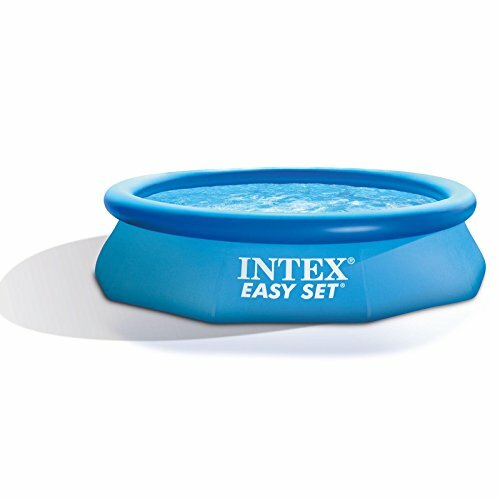 When it comes to above ground swimming pools, the two heavyweights are Intex and Bestway. Since these brands do offer the best quality products, as well as taking up a the vast majority of the market, I’ll only be reviewing Intex and Bestway pools in this guide. The final thing to consider is the pool liner — the actual walls of the swimming pool — and most above ground pools use laminated vinyl (PVC) for this, which actually holds out pretty well if looked after. Some vinyl liners, however, are a lot tougher than others depending on the thickness of the material and the finish. This will be a big consideration in the upcoming product reviews. 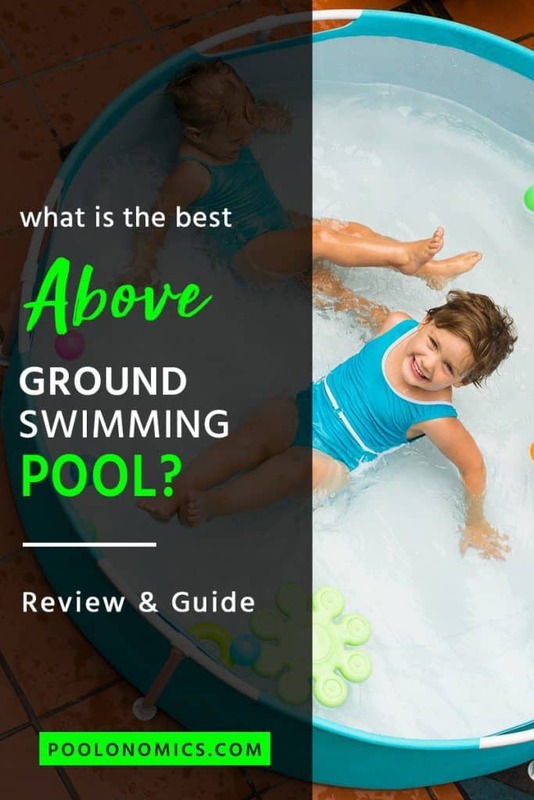 Now that we’ve covered what to look for in an above ground pool, you’ll be able to use the comparisons below to make a more informed decision about which makes sense for you and your needs. 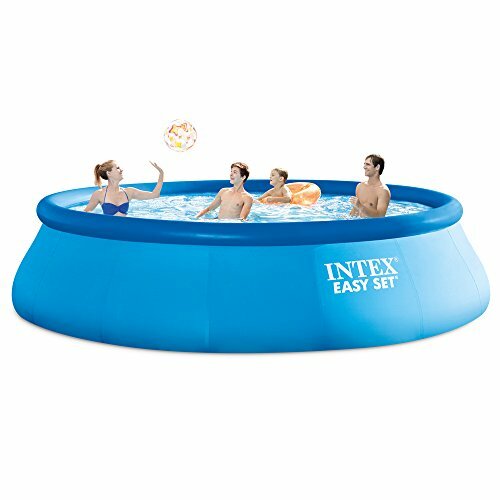 This 8×30 Easy Set Pool Set from Intex is an inflatable top-ring pool with durable, laminated PVC lining. It holds 639 gallons of water and is large enough to fit up to 4 people, making it (barely) suitable for small families and children. If you do intend to use this regularly as a family, I’d probably recommend getting something a little bigger as it won’t allow for much breathing room when fully occupied. That said, if it’s just for children, it’ll offer plenty room. The best thing about this particular pool is in the assembly of it. Intex claim a 10-minute setup time until you can begin filling it with water, though some owners of this model did have trouble piecing together the provided filter.Speaking of, this pool comes with a 110v filter (capable of a 330 GPH flow rate), an instructional manual and DVD, and a drain plug hose-attachment. No ladder, though it’s not necessary for this size pool. 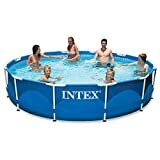 This 10×30 Easy Set Pool Set from Intex is an inflatable top-ring pool with strong, PVC wall lining. It holds 1,018 gallons of water and is large enough to fit up to 6 people, making it suitable for small-medium size families and children. Unlike some pools in the same “easy set” series, this particular model doesn’t come with it’s filer, meaning you’ll have to spend a bit extra to ensure your water stays clean. Not ideal. What’s great about this pool, however, is the sheer size you get for the money. It’s reasonably wide, comfortably fitting 4-5 people, which makes it excellent value in comparison to other pools in this price bracket. This pool comes with an instructional manual and DVD for easy assembly, though as stated, it does not come with a filter or a ladder, though both can be purchased separately. 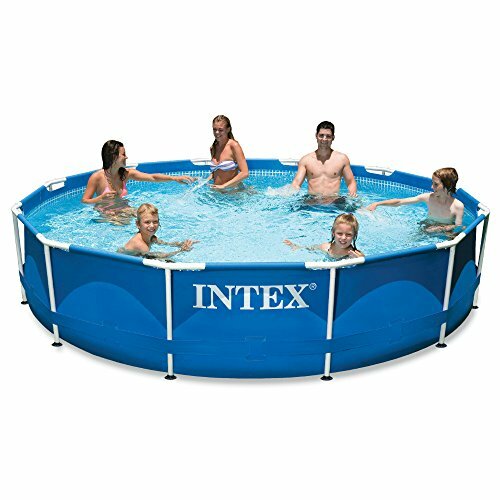 This 12×30 Metal Frame Pool Set from Intex is a metal frame pool with tough PVC lining. It holds 1,718 gallons of water and is large enough to fit up to 6 people, making it suitable for larger families and even small gatherings. There are some complaints about the provided pump with this model, specifically it being either slightly underpowered or breaking down earlier than expected, though this doesn’t speak for the majority of users and it can, of course, be upgraded. 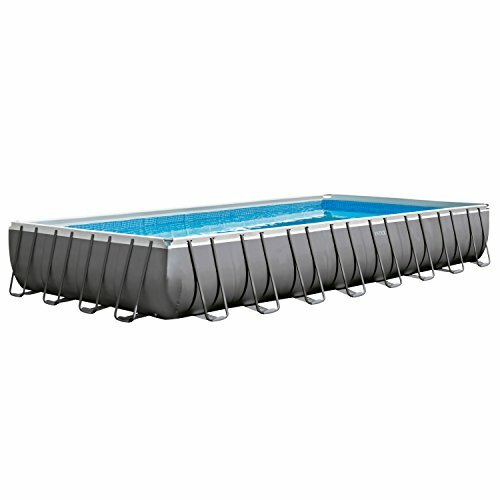 On the plus side, the metal frame will ensure your pool lasts longer than the inflatable top-ring versions from Intex, and many users say their pool has lasted a lot longer in comparison.This pool comes with a 110v-120v filter (capable of a 530 GPH flow rate), an instructional manual and DVD, and a drain plug hose-attachment. No ladder, though you can buy it at an additional cost. 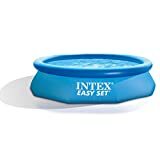 — As a side note, you can also purchase this model with a pool cover provided for a small additional cost, as well as another package containing a ground cloth if you happen to need one. 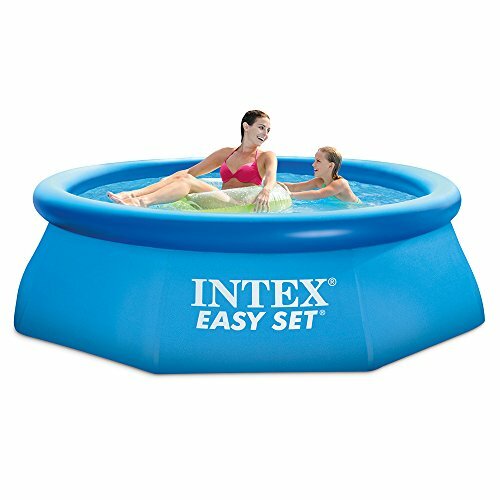 This 15×42 Easy Set Pool Set from Intex is an inflatable top-ring pool with super-tough PVC lining. It holds 3,284 gallons of water and is large enough to comfortably fit 8+ people, making it ideal for families and possibly even small gatherings. 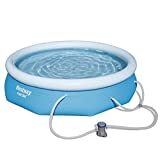 Fortunately, this pool does stay true to it’s name and is very easy/fast to set up (taking around 20-30 minutes), especially considering the size and depth of this thing once it’s ready to go. The pool comes with a 110-120v pump (capable of a 1,000 GPH flow rate), an instructional manual and DVD, as well as a pool cover and ladder. 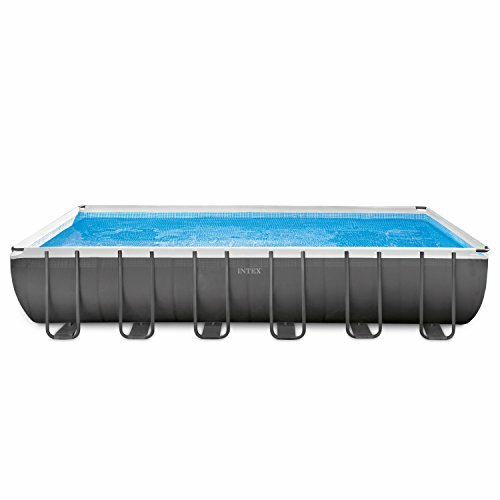 This 24x12x52 Ultra Frame Rectangular Pool Set from Intex is a large, metal-frame pool with a strong PVC lining. It holds 8,403 gallons of water and is large enough to fit around 8-10 people, making it suitable for very large families, and even small events. This particular model is a little harder to set up, taking around 3 hours, so some degree of patience is required. It’s also worth noting that the provided pump is slightly underpowered for the size of the pool, but it does manage okay. 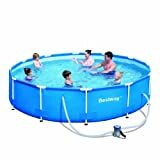 On the plus side, this Ultra Frame pool is very well built, and will last you a lot longer than any inflatable pool, and even most smaller metal frame pools in the same category.The pool comes with a sand filter pump (capable of a 1,600 GPH flow rate), an instructional manual and DVD, a ground cloth, debris cover, maintenance kit, a volleyball set and a small (but acceptable) ladder. 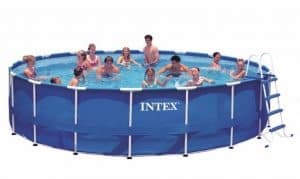 This 32x16x52 Rectangular Ultra Frame Pool Set from Intex is a metal-frame pool with a strong PVC lining, and is also a larger version of the previous model in this list. The pool holds 14,364 gallons of water and is large enough to fit 10-12 people, making it suitable for very large families and even small events. Like it’s younger brother, this pool suffers from some of the same trivial issues, including a less than ideal setup time of around 4-6 hours, and a somewhat underpowered provided pump. The good news? Again, this is a very high quality pool set that will last you many years if well maintained. It’s also one of the larger above ground pools on the market and the provided volleyball set really takes advantage of that. The pool comes with a sand filter pump (capable of a 2,150 GPH flow rate), an instructional manual and DVD, a ground cloth, debris cover, maintenance kit, a volleyball set and a small (but acceptable) ladder. 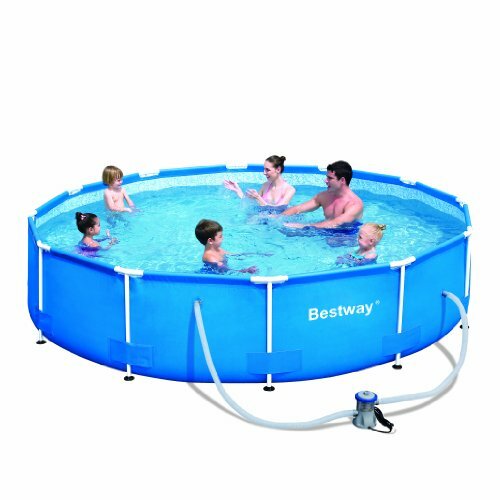 This Fast Set 10×30 Above Ground Pool Set from Bestway is an inflatable top-ring pool with heavy-duty PVC lining. It holds 961 gallons of water and is large enough to fit up to 5 people, making it suitable for small families and children. Unfortunately, there are a number of considerable issues with this pool, including the provided pump being far too weak, the difficulty of keeping the ring up while filling, and the overall poor quality of the product. 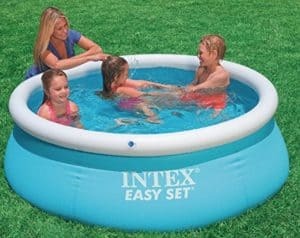 Unless you’re looking a ‘one summer wonder’ for the kids at a fair price, you may want to skip this model and go for a similarly sized Intex pool instead. The pool comes with a provided filter (capable of a 330 GPH flow rate) and an instruction manual. No ladder, though it’s not entirely necessary for a pool of this size. 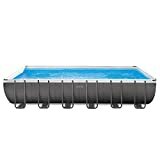 This Rectangular 94x59x23 Splash Frame Pool from Bestway is a metal frame pool with strong PVC lining. It holds 476 gallons of water and is large enough to fit 4-5 (small) people, making it suitable for young children. This is a very popular kids pool and one that’s hard to find faults with, although I should say that given the unusual size and shape of this model, finding a suitably sized cover for it could be a challenge. Ironically, the highlight of this particular pool IS the shape and size, being wide enough and perfectly shallow enough to accommodate a number of children, including toddlers. The pool does not come with a filter, so you will have to buy one separately unless you don’t mind emptying and refilling occasionally. There’s also no ladder included, though it’s certainly not necessary for a pool this size. 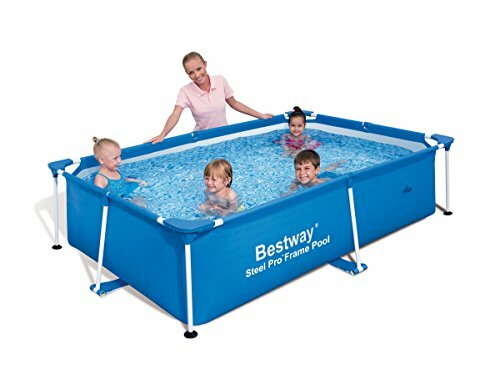 This 118x79x26 Deluxe Splash Frame Kids Pool from Bestway is an above ground pool with reinforced PVC lining. It holds 871 gallons of water and is large enough to fit up 4-5 people, making it suitable for small families and children. 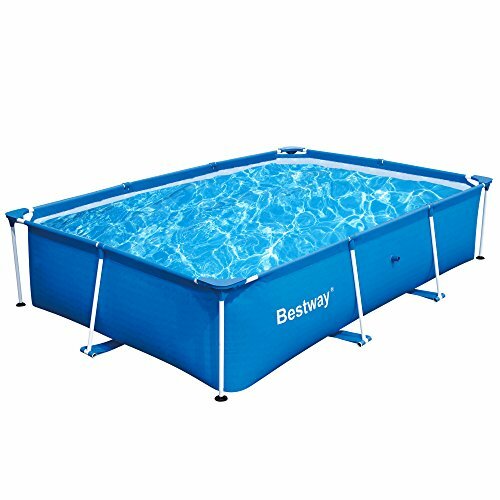 This is another popular Bestway pool and one that’s hard fault, but it could be said that the lining is a little thin, and fairly prone to tearing if not properly handled. Again, one the best parts about this pool is the size, which is the perfect balance between size and quality for those looking to fill a fairly small space with their pool. 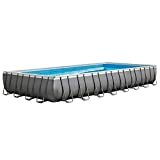 This Steel Pro 12×30 Frame Pool Set from Bestway is a metal frame pool with heavy duty PVC lining. It holds 1,710 gallons of water and is large enough to fit 6 people without any fuss, making it suitable for families and even small gatherings. It is said that the pump provided is too weak for the size of the pool, although this is a common issue with most above ground pool, unfortunately. There have also been minor reports of missing parts, but were quickly resolved. The durability of this pool, however, is actually pretty high, especially given the general low quality of cheaper Bestway product. It’s nice to the trend being broken with their mid-high end product range.The pool comes included with a pump and filter cartridge (capable of a 330 GPH flow rate), an instructional manual and DVD, a ground cloth, cover, skimmer and even a ladder. As with most pool equipment I review on this blog, it’s very rare that I can recommend a one-size-fits-all product, and this is no exception. The type, shape and size of above ground pool you decide to shoot for is solely dependent on things like, who will use it, how many people will use it, the space you can allocate, and, of course, your budget. Ultimately, I see three general categories that most people should be able to relate to, so I’ll give an explanation and my own personal recommendation for each. Most people I’ve spoken to about buying an above ground pool aren’t doing it for themselves, but for the amusement of the kids and grandkids. If you don’t want your kids to get all the fun, you’ll want a family-sized pool that won’t tear at the seams the minute you exceed the warranty period. The good news is, there are a number of viable candidates that are not only a great size for a typical family, but are also easy to set up and won’t buckle under the pressure. Some of us just want the best money can buy, and there’s no questioning that money can buy you one helluva pool, even when we’re keeping things above ground. Unlike the other categories, there aren’t too many to choose from here, and it’s to ramp up the size without a serious consideration on quality. Thankfully, it wasn’t’ a difficult choice after weighing up the pros and cons of each.